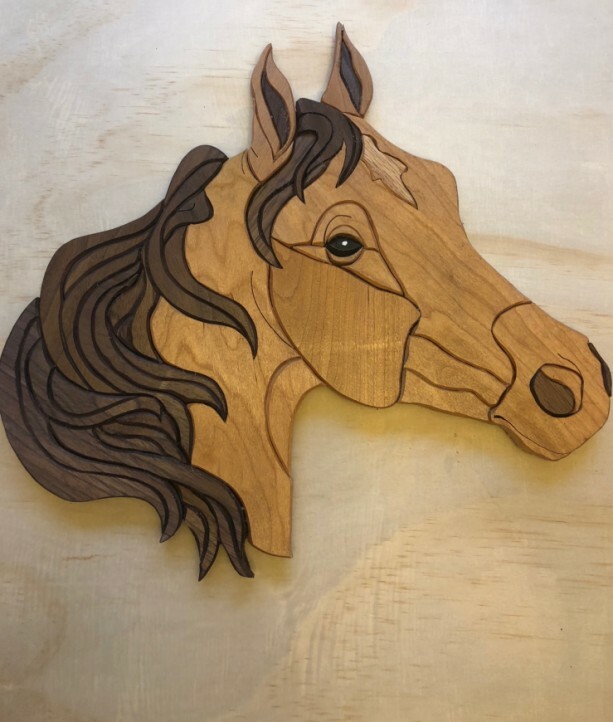 The intarsia horse is made from all natural wood hand selected and cut to achieve the unique intarsia art. At roughly 15” x 16”, this piece is designed to be hung but can be used on a shelf as well. The horse is made from 1/2” Walnut, Cherry and Ash. The piece is protected by several coats of lacquer.